Carpenter Ants are commonly black, ranging in hues from red to yellow. They can be anywhere from 25 millimeters to 1 inch long (workers can be 3 to 13 mm), which is nearly 5 times the size of a typical pavement or garden ant. Carpenter ants are wood-destroying insects like termites and prefer nesting in old, wet or decaying wood. Worker ants are nocturnal, which means they burrow mostly at night, after midnight. Carpenter ants scout for food in a radius of up to 1,000 ft. away from the colony. Carpenter ants are predators that will feed on other dead or living insects. Their dietary preferences include nectars, juices, syrup, jelly, sugar, honeydew, various fruits and meats, grease, oils and fat. They will gladly feast on the leftovers of your summer picnic or barbecue. 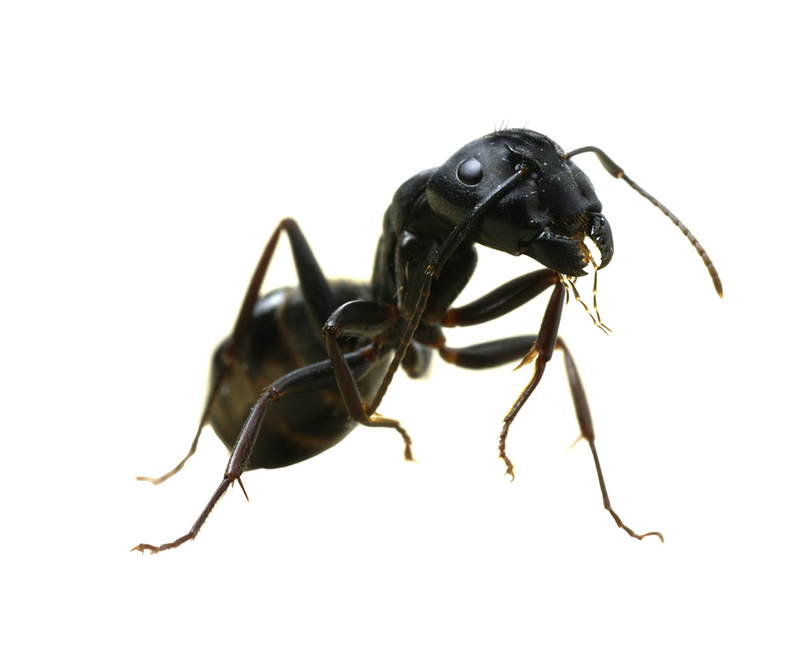 Carpenter Ants become most active during summer months. Queens can lay 9 to 16 eggs in the first year and may live up to 25 years. Eggs complete their life cycle in about 6 to 12 weeks. Carpenter Ant Infestation can be prevented by baiting, spraying or treating entrances to carpenter ant nests with repellent foams or dusts. You can also help to ant-proof your home and yard by clearing away rotting trees and lumber piles. Carpenter ants destroy wood, which may result in damage to your property and costly repairs. Carpenter ants are also know to invade house and apartment walls. Sleep Easy is your first line of defense against Carpenter Ant infestation!